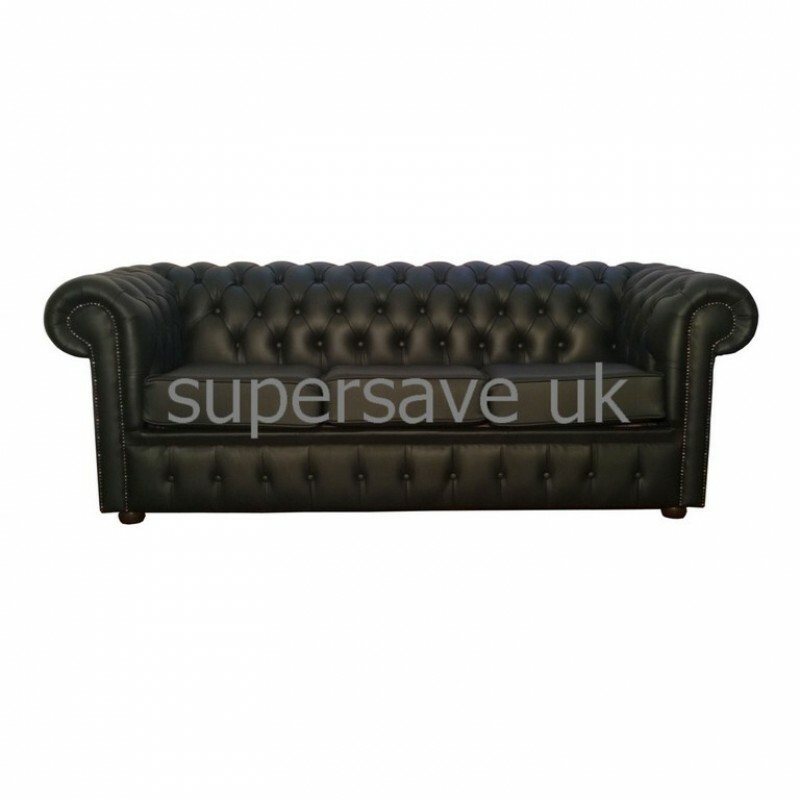 The black genuine leather Chesterfield 3 seater sofa bed is known to the world for its low back style and comfortable deep seat cushions. 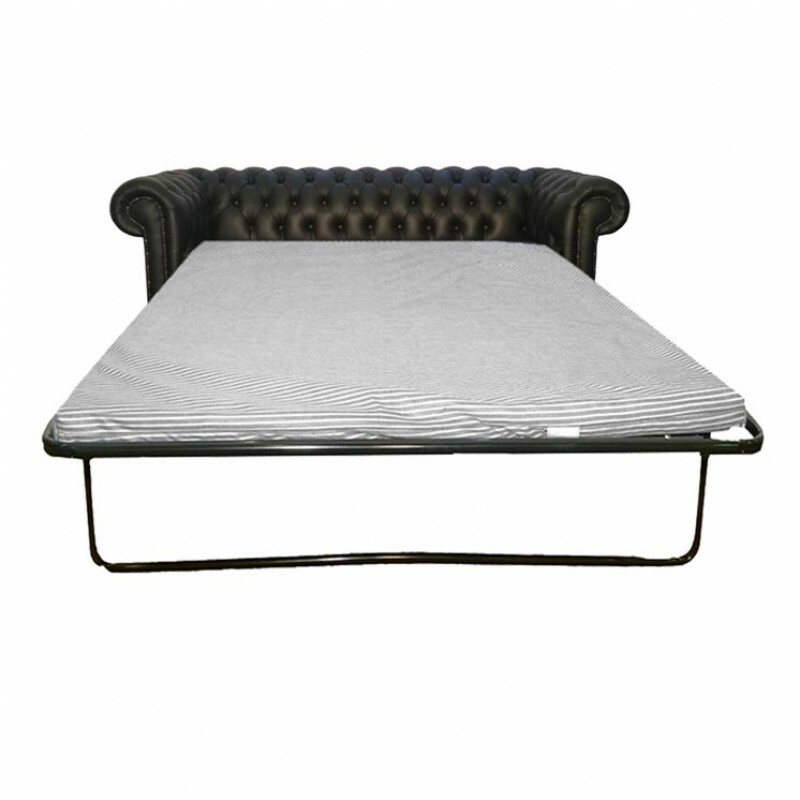 Its scrolled arms are complemented finely with silver beading, giving the sofa bed that extra vintage look with the mahogany feet. 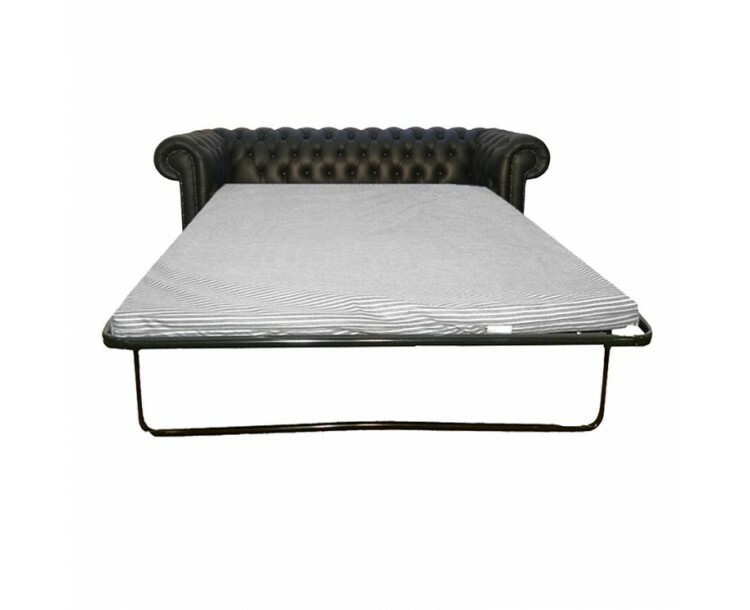 Inside this luxuriant sofa there is a grand 2 inch foam mattress attached with a pull-out roll up metal mechanism.